YouTube is ready for a scare. Variety reports the streaming service is launching its first exclusive series next week titled Scare PewDiePie. From popular YouTuber PewDiePie and Disney’s Maker Studios, the series will be part of YouTube’s new paid subscription service, YouTube Red. The series will accompany three original films available only to subscribers of YouTube Red, which will cost $10 a month. PewDiePie is not the only YouTube star to net an original series. Last month, we reported that YouTube character Miranda Sings was getting her own series at Netflix. Scare PewDiePie debuts when YouTube Red launches on February 10th. What do you think? Are you a fan of YouTuber PewDiePie? Will you subscribe to YouTube Red to watch the new series? 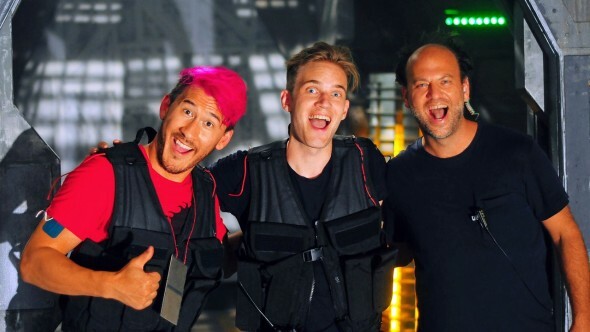 More about: Scare PewDiePie, Scare PewDiePie: canceled or renewed?, YouTube TV shows: canceled or renewed?